102019: Year of the EV Fleet? Renault’s stylish SUV ups the ante with updated styling and a focus on comfort. Customers rated design as a major selling point of the outgoing Kadjar, and the new model accentuates and refreshes its assertive sense of style. Its chrome-accented bumpers feature extra colour-coding, paired with new alloy wheels up to 19 inches in diameter, and a wider grille flanked by headlights which integrate the indicators into the car’s LED lighting signature. For business users, New Kadjar steps up long-distance comfort with subtle updates throughout the cabin. The reprofiled seats feature double-density foam and firmer side bolsters, while GT Line also includes extendable thigh support, helping to reduce fatigue for high-mileage drivers. It’s more intuitive, too; new climate control thumbwheels feature integrated temperature and fan speed displays, the window switches are backlit, the door bins are larger and rear occupants have their own ventilation and USB charging sockets from Iconic. With a large boot capacity, New Kadjar offers the style drivers want with the flexibility their work and home life demands. New Kadjar is the latest model to join Renault’s Easy Life range, structured around four generously-equipped trim levels. It means drivers can take advantage of the latest Renault technology and low P11d pricing, without the need for complicated and costly options and packs. New Kadjar is well-appointed from the entry-level Play version. Automatic headlights and wipers, cruise control and rear parking sensors are standard, while ambient lighting adds a touch of luxury to the cabin. Behind a flush-fit panel in the dashboard, the seven-inch touchscreen is more responsive than in the outgoing car, and features Android Auto™ and Apple CarPlay™ smartphone connectivity*. Iconic builds on an already comprehensive specification with keyless entry, front parking sensors, lane departure warning and 19-inch wheels, while Renault’s advanced R-LINK 2 infotainment system adds TomTom® LIVE navigation and DAB digital radio. Rear-seat passengers get two USB sockets and their own air vents. 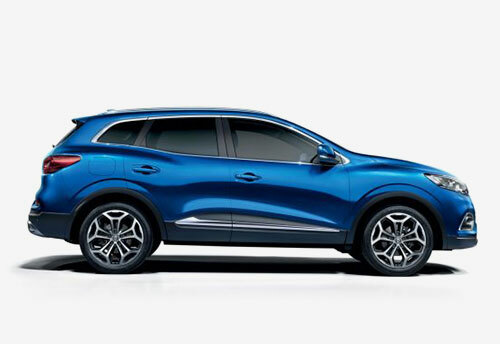 Step up to S-Edition, and New Kadjar includes light grey skid plates, full LED ‘Pure Vision’ headlights and a fixed panoramic sunroof, bathing the blue-stitched interior with light. And, at the top of the range, GT Line prioritises luxurious comfort, including a blind sport warning, 360-degree sensors for easy manoeuvring and full leather seats with extendable thigh support. The engine line-up is all new, comprising two petrol and two diesel Euro 6d-Temp compliant power units developed with Daimler. All of these next-generation engines feature the latest Renault emission control technologies, as well as improved driveability and performance for end-users and reduced fuel consumption to minimise costs for operators. Diesel engines comprise two Blue dCi units, both featuring selective catalytic reduction (SCR) to reduce NOx output. The Blue dCi 115 offers a 5hp power increase over its predecessor, with an over-boost function for short bursts of acceleration – useful when overtaking or joining a motorway. Equipped with the six-speed EDC dual-clutch gearbox, this returns 67.2mpg, while emitting 111g/km CO2. A dCi 150, producing 150hp, will follow shortly after launch – optionally available with selectable four-wheel drive. New and efficient petrol engines are just as worthy of note, attracting the same 27% Benefit-in-Kind banding as their diesel counterparts^. The 140hp and 160hp TCe turbocharged engines displace a mere 1.3 litres but offer strong low-rev performance and fuel economy of up to 51.3mpg. Both are fitted with a gasoline particulate filter, while the TCe 140 can be paired with a six-speed EDC gearbox. 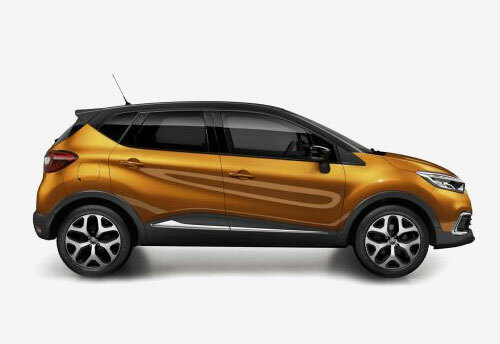 A compact SUV built for life in the big city, Captur combines extensive personalisation with a responsive drive, efficient engines and practicality that belies its size. 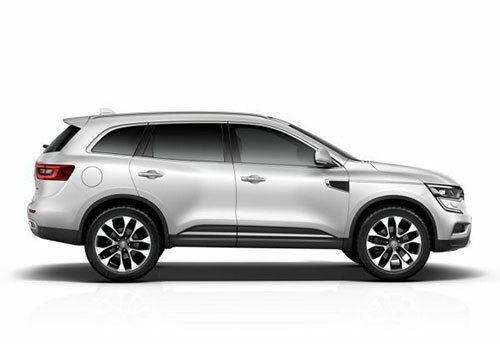 Renault’s flagship SUV packages luxurious long-distance comfort within unmistakeable and assertive styling, with advanced all-wheel drive for tough conditions. Majoring on comfort and technology, New Kadjar has the space and flexibility for work and family life, whether on or off the beaten path. The official fuel consumption figures in mpg (l/100km) for the New Renault KADJAR are: Combined 41.5 (6.8) - 60.1 (4.7). The official CO2 emissions are 134-111g/km. WLTP figures shown are for comparability purposes; only compare figures with vehicles tested to the same technical procedures. Actual real world driving results may vary depending on factors such as weather conditions, driving styles, vehicle load or any accessories fitted after registration. WLTP is a new test used for fuel consumption and CO2 figures, however until April 2020 the CO2 figures are based on the outgoing (NEDC) test cycle which will be used to calculate vehicle tax on first registration. Please visit renault.co.uk/ configure for WLTP figures for any selected options. *Compatible with Android phones running Android 5.0 (Lollipop) or later. Requires a USB cable certified by the smartphone maker. Applications compatible with driving: List of applications available on Android Auto™. Connecting a smartphone to access Android Auto™ and Apple CarPlay ™ should only be done when the vehicle is safely parked. Drivers should only use the system when it is safe to do so and in compliance with the requirements of The Highway Code. Drivers should be aware of the potential of hands-free technology to distract a driver’s attention from the road, preventing them from having full control of the vehicle. ^Renault UK Limited does not offer tax advice and recommends that all Company Car Drivers consult their own accountant with regards to their particular tax position.